feeds your mind and your heart both. Make your own path through the bush or across unbroken snow, turn and see the trail you’ve made, and learn something new and fine about this piece of the world and about yourself. 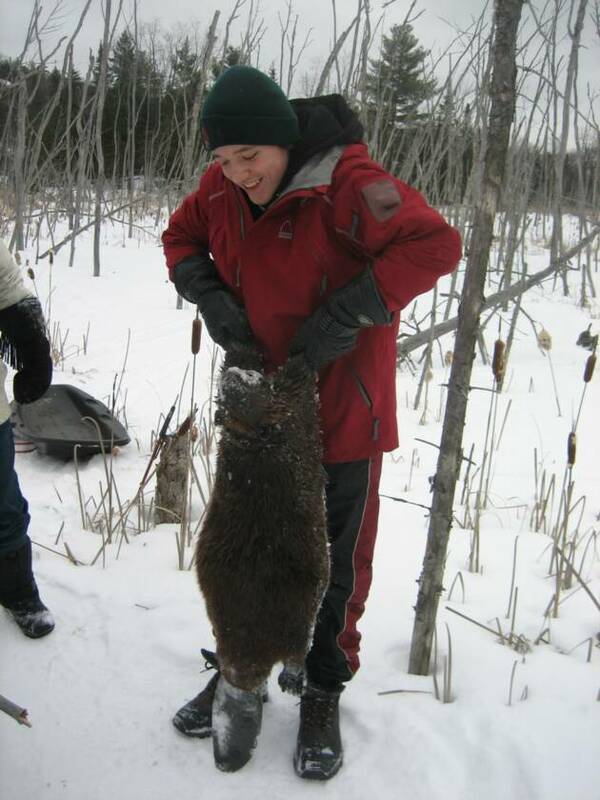 ChikoTrails is the year round home of beaver, muskrat, otter, raccoon, fox, fisher, martin, ermine, mink, wolf, deer and moose. Bald and Golden Eagle sightings are common in the back country. Sound like something your life could use? Read what others have to say. Bringing the girls home to show them my hometown, I never expected to take them trapping; but that is just what we did! 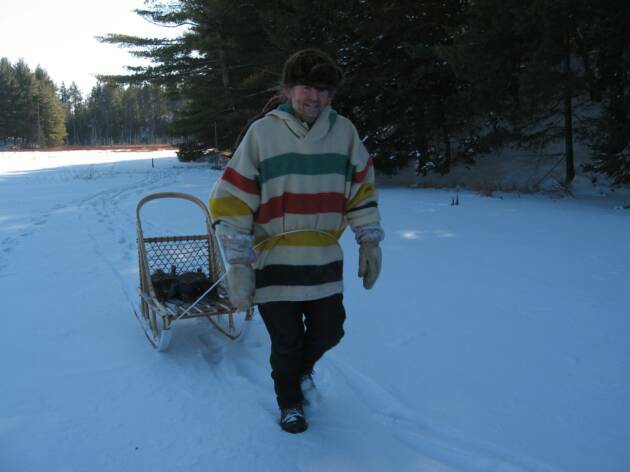 Trapperman, Gord McMillan, lead the four of us on an outdoor adventure hiking along his trap lines looking for signs of wildlife and snowshoeing through the back hills of Deacon. Gord’s passion for his work was contagious; he had us holding our breath in anticipation with each beaver trap that we came to. He was so enthusiastic and more than happy to share with us his immense knowledge and answer all of our questions - in which we had many. 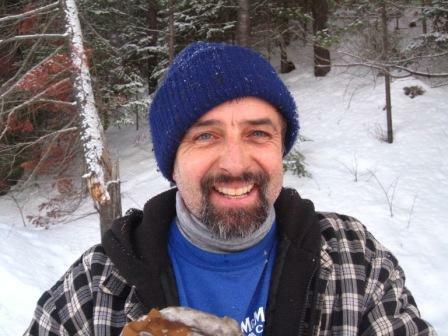 Gord was a great teacher, identifying the many different animal tracks and signs of wildlife we came across. We were even lucky enough to catch sight of a bald eagle flying above – luckily Gord was there to point it out to us. Knowing that as nurses we would be interested in anatomy, Gord even skinned part of a beaver that he had just pulled from a trap to give us a brief lesson. To cap off such an exciting morning, Gord prepared and cooked a delicious lunch of white fish over the campfire. The meal definitely hit the spot after all the fresh air and one intense snowshoeing race! Spending the day with Gord was truly a great experience. We learned a lot and had so much fun. The four of us agreed we would definitely go again. Whether you are from the area or just visiting, we would highly recommend this wilderness adventure with Trapperman. Thanks for a fabulous day Gord! 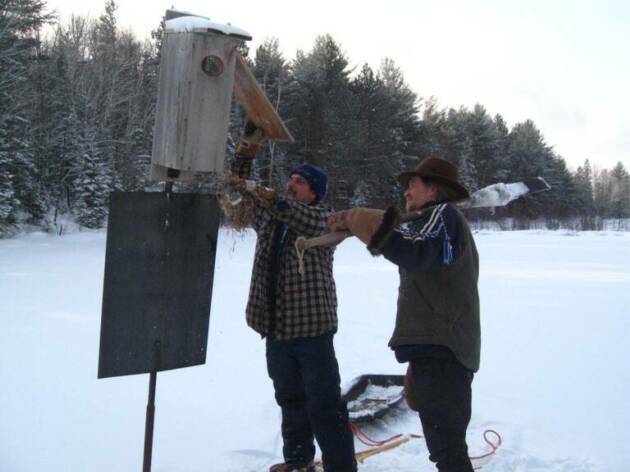 Spending the day on the land with TrapperMan Gord McMillan was an awesome educational adventure, checking traps, having an open fire lunch, snowshoeing over many ponds through the forest all the while learning about wild animal tracks and how they interact with nature and each other. Do you know how to tell if a beaver are living in a house or if its been abandoned? Spend some time with TrapperMan and you’ll learn this and more! We had a wonderful time, so much enjoyed our adventure and extraordinary bush lunch of beaver and whitefish. Our pictures captured the day and the experiences have already become treasured stories in our family.You are truly an amazing "BUSHMAN" and we hope your experiences and knowledge will also be shared with TV audiences. Thank you again for allowing us to accompany you.